The stunningly original, must-read fantasy of 2018 follows two fiercely independent young women, centuries apart, who hold the power to save their world... or doom it. Reviews are so difficult for me to write for Fantasy stories! Furyborn was an epic adventure, based on the lives of two different women at two different time periods (approx. 1000 years apart). I've read many fantasy novels, but none like this! I have to mention that this prologue was INSANE. If this doesn't grab your attention, nothing will. We follow the lives and trials, of Rielle Dardenne – otherwise known as Queen Rielle. We see how she obtains her power, and the important events in her life. I hate to say it, but I was rooting for her the entire story. She may have been my favorite character, for different reasons. I'm not going to tell you why because I really don't want to give anything away. Fast forward 1000 years, we see the same landscape but in a different light and meet Eliana Ferracora. She's a complete badass, afraid of nothing, and ready to tackle anything. She's on a quest to find her mother and protect her brother. She's completely human, makes some bad choices, and pays the consequences. She feels deeply, but doesn't show it. I love Eliana for her realness, her humanness. Both of these women face dire consequences, pay terrible prices, and yet persevere. The support cast only added to the main story, and of course, were necessary. I really enjoyed this book, it has everything you'd expect from a fantasy novel: it was funny and sweet at times, angsty and anxiety-inducing, scary and suspenseful, tragic and beautiful. Physical and mental strengths are at war with magic and the unknown! I loved that this story took right off, there was world-building, but it wasn't boring pages full of just descriptions. There were some slow-moving parts, but I felt like they were sprinkled in to give you time to process everything else going on. I cannot wait to read the second book in the Empirium Series! Her first novel is The Cavendish Home for Boys and Girls, one of the New York Public Library’s 100 Titles for Reading and Sharing in 2012. 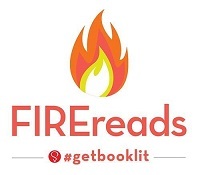 She is also the author of The Year of Shadows, a ghost story for middle grade readers; and Winterspell, a young adult re-telling of The Nutcracker. Some Kind of Happiness, her middle grade novel about mental illness, family secrets, and the power of storytelling, is a 2017 Edgar Award Nominee. Claire’s latest novel, Foxheart, is a classic fantasy-adventure and a 2016 Junior Library Guild selection. She is one of the four authors behind The Cabinet of Curiosities, an anthology of dark middle grade short fiction that was a Junior Library Guild selection, a Bank Street Best Book, and among the New York Public Library’s 100 Titles for Reading and Sharing in 2014. 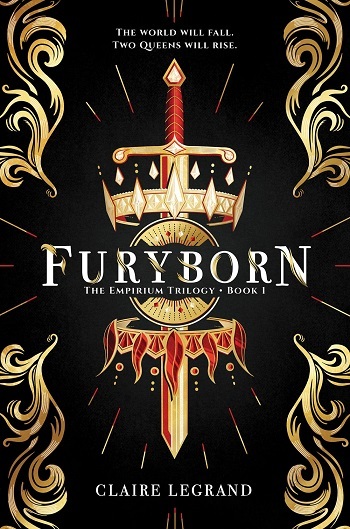 Reviewers on the Wicked Reads Review Team were provided a free copy of Furyborn (Empirium #1) by Claire Legrand to read and review.